Never tie a water balloon again! (1) waterproof plastic beach tote. Back when I was a kid, one of my favorite summertime activities with the kids in the neighborhood would be a water balloon fight. But, just getting for the water balloon fight was a hassle. Either I had to have my mom make the balloons as my fingers couldn't tie them, or I would struggle for what seemed like forever and only come out with a few successful balloons, with a pile of broken balloons on the ground next to me. I remember thinking back them, "If only there was an easier way to make a water balloon." Thankfully someone felt my frustration, and the frustration of families everywhere and created this amazing and what Savannah calls "magical water balloons." Like I said, with these new no-tie water balloons, you can have a have a balloon ready to be tossed in three easy and painless steps. How does this balloon seal itself? Unlike other balloons on the market, the ZORBZ balloon, which is made in USA from 100% of biodegradable latex rubber (much safer for the environment), contains a pill-like capsule and an indented neck. So, when you are done filling the balloon to the size you want it, you simply pull it off the filler bottle, give it a good pinch and release, and you are ready to go. It really is pretty easy, and you will be amazed at how the water stays put. With the 4th of July fast approaching, I will be having our annual cookout for family and friends, with fun backyard games. When I talk to those who will be coming, I can't stop raving about these balloons and am so excited for them to try them out firsthand. I will definitely be making and filling a plastic pool full of these no tie balloons before guests arrive, but I know that once they see that you don't need to tie them, they will want to try it out for themselves. So, I made a visit to my local Bed, Bath and Beyond store yesterday to pick up more of the 50 ct. and 100 ct. bags for the cookout and to use with the girls. 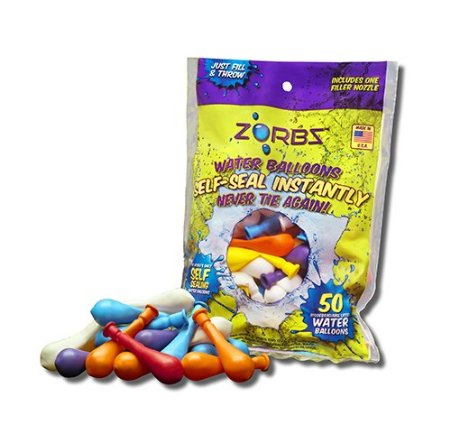 If you love water balloon fights just as much as my family does, but have the hassle of trying to tie them or giving up due to sore fingers, why not give the new ZORBZ no tie water balloons a try today. At only $3.99 for a 50 ct. bag and $6.99 for a 100 ct. bag, you can't go wrong for the price. 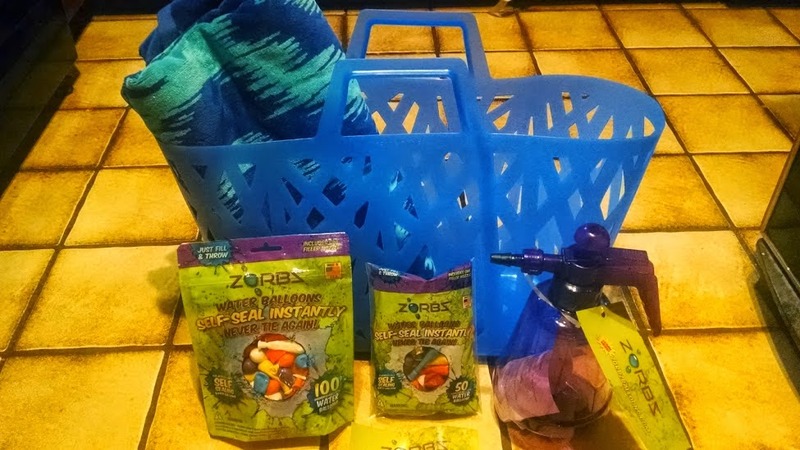 People come up with inventions to solve a problem or make life easier, and I can say after trying out the ZORBZ balloons with simple Snap and Seal technology, that the folks at Hydro Toys, LLC did just that. Twenty plus years later for me, I can now enjoy a good water balloon fight with my girls, while not feeling it later with sore fingers, or the need to pick up piles of broken unsuccessful water balloons. Kids will love this cool new product, but I am betting parents will be the ones excited to try it and have their prayers of a no-tie water balloon finally answered. I sure am! 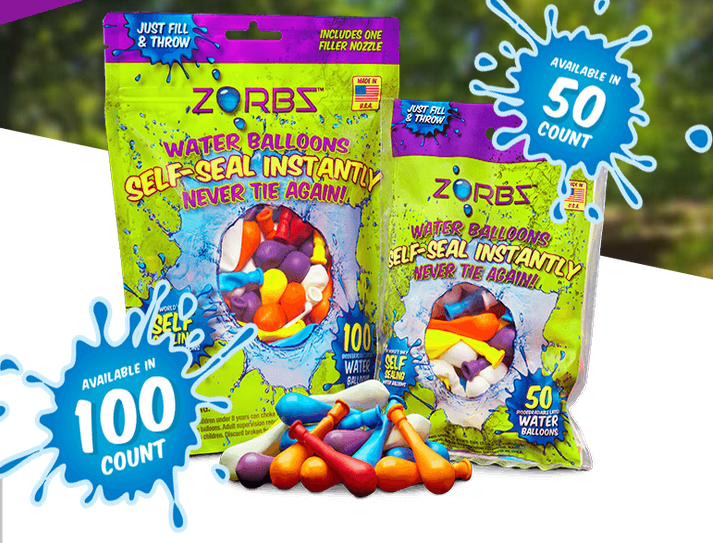 :-) You will no longer waste time tying balloons for the kids, and can now join them in an ultimate family showdown water balloon fight that you will all be talking for years to come. I am so looking forward to our 4th of July cookout and having a water balloon fight with these new ZORBZ balloons. So, what are you waiting for? 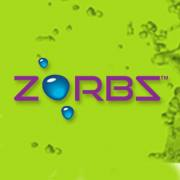 Don't miss out on all the fun and visit http://zorbzwaterballoons.com/where-to-buy/ to use the online store locator to find a retailer near you who carries ZORBZ balloon. You can currently find them at popular retailers like Bed, Bath and Beyond, Five Below, Toys R Us, and even Rite Aid, as well as through online stores like Amazon and Fat Brain Toys. These are so cool I have never tried these and I sure could use them for upcoming parties thanks for sharing and have a great holiday.